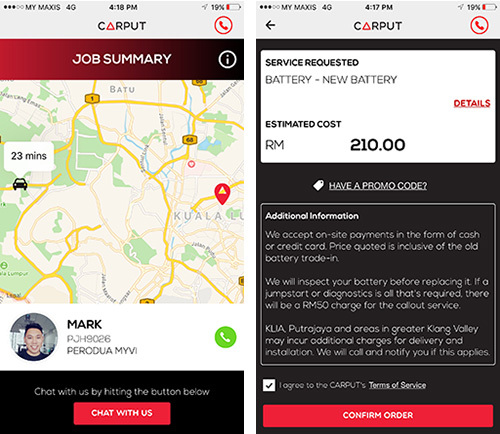 Thousands of Malaysian users have been raving about Carput, a roadside assistance company that comes to your rescue, banishing away those vehicle woes. All you have to do is download the Carput app onto your smart device, and select the assistance you require! So what’s the real story behind the brand? 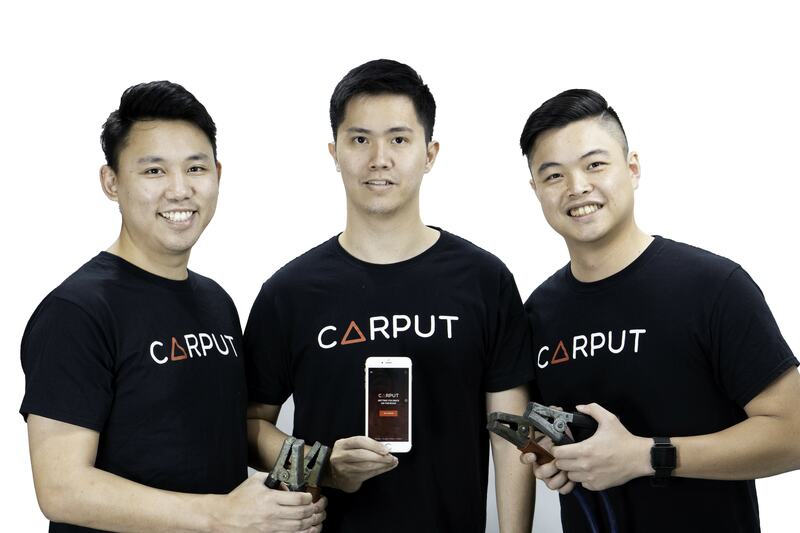 We speak to Eugene Tan, who along with buddies Mark Chew and Mike Kee, founded Carput in 2016. Tag along as we learn more about the journey of Carput thus far. How did it all begin? What is Carput’s origin story? Eugene Tan (ET): When I returned from Melbourne, Australia, I only had my mother’s old car to get around. Having not started it for months, the car wouldn’t crank. I searched high and low for someone to attend to it and was disappointed. I knew I was paying an “emergency” price, they promised to come in an hour but I waited for two hours. I thought that I could do better – plus, I’ve always wanted to start something on my own. I concluded that there would not be a better time to start a business, so here I am today. Tell us a little bit about the founders. ET: The three of us – myself, Mark Chew and Mike Kee – studied and worked in Melbourne for a few years before returning home. Mark was my senior back in high school and I met Mike through a mutual friend. 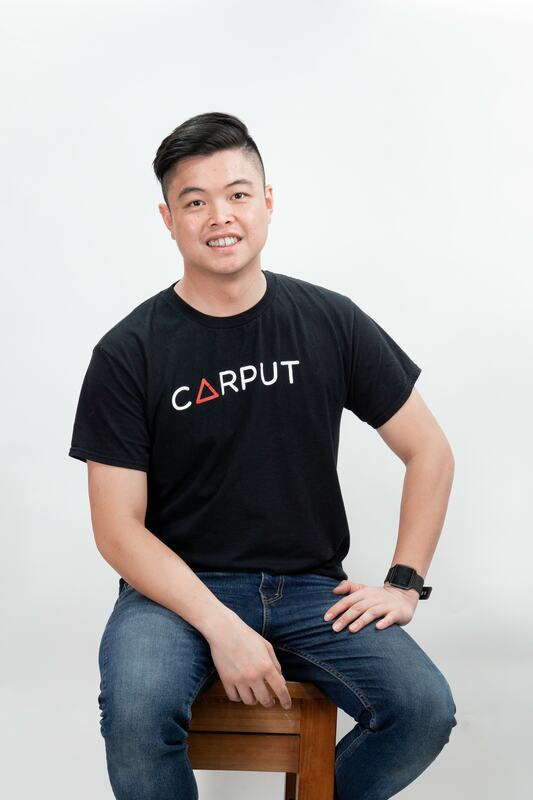 I figured that our skillsets were quite complementary and connected them together – and that’s the birth of Carput! What were the major concerns when making Carput available for drivers? ET: The biggest question was, how do you get the word out? We took a gamble. We understood that having a car breakdown is a very emotional experience, and we had the opportunity to either disappoint or truly impress. We wanted to be the ones putting the customers first. The automotive service industry in Malaysia has given itself a bad name over the years. Inspired by the customer service culture in Melbourne, we focused on providing the best customer service – and it was actually really simple. Being transparent in your prices, your estimated time of arrival and just the common courtesy of saying “please” and “thank you” made all the difference. The gamble paid off as our initial bunch of customers were impressed with our service and kept recommending us. Without those customers, we wouldn’t be where we are today. What remains Carput’s biggest challenges? ET: Carput has a very unique and ongoing challenge, in that we are serving an emergency market. When your car breaks down, the best kind of customer service is to get there quickly and solve the customer’s problem. Think about it – most delivery companies are working on a “next day” or “next week” delivery – but we have to get there in one hour! There are many moving parts that need to work together to make this happen, and we always want to do better for our customers. As of today, I’m proud to say that Carput has an average response time of 40 minutes by leveraging on data and operational efficiency. Now, it’s on to the next challenge: how do we do it under 30 minutes? What type of services do you currently offer via the app? Which is the most used/popular? ET: Carput is primarily a roadside assistance company, so we cater to a range of car breakdown services like towing, car battery delivery and installation, jumpstarts, flat tyre change and even emergency petrol delivery. You’d be surprised with the number of people who have requested for this service. While our most popular services are car battery deliveries, we have a vision to be the No 1 automotive app, starting with roadside assistance. As we continue on our journey, expect more useful features for car drivers to be added into the Carput app, such as road tax, motor insurance as well as car care and detailing. On a scale of 1 to 10 (10 being the best), how would you rate the app’s success? ET: The Carput app has been downloaded more than 100,000 times, but that’s such a small percentage of the population of drivers in Malaysia. I would rate it a success at 5/10, simply because I think that we have a long way to go in creating a positive experience for the millions of car drivers in Southeast Asia. Every business has its ups and downs. What’s a good day at Carput, and what’s a bad day? ET: A great day for us is when there are tonnes of reviews coming in – thanking us for “saving their day”. It’s a surreal feeling to be able to exceed expectations of our customers and having them truly acknowledge the work we have done in making sure that we are the best and fastest option for them. A bad day for Carput? Well, in our first year, we were constantly strapped for cash, and we had to tell our people that we’ll need to delay their salaries till the following week. There has never been a lower point in my life than that moment. But we are absolutely blessed to have gotten out of that hole and hopefully, never going back. In your opinion, what makes or break a start-up biz? ET: I’m a believer that the people of the business make the business. The founders should be passionate and the team should be aligned across all levels in the organisation. However, it isn’t just the people in the business. I think it really helps that the founders look for guidance through advisors and mentors, people who have “been there and done that”. Often times, we are so distracted firefighting the day-to-day issues … so an outside perspective can be extremely valuable. The people in and surrounding the business, to me, is the main factor that makes or breaks a business. What would be your ONE big advice for budding entrepreneurs out there? ET: I’ve never been the one to give advice and can only speak through my experience and capacity. I would have never been able to do this without my team. The demands of running a business is insanely high and if one person had to look at different pillars of the business, he or she would probably not be able to execute well. Get your core team up as soon as possible and share that burden with them. Remember, you don’t need to be doing everything even though you feel like you can do it best. So if you’ve got car trouble, remember – Keep Calm and Carput! 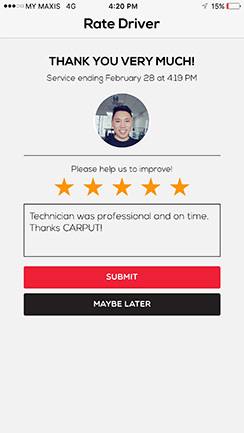 Download the Carput mobile app at carput.my (available on Android and iOS) today for quick and fuss-free assistance!